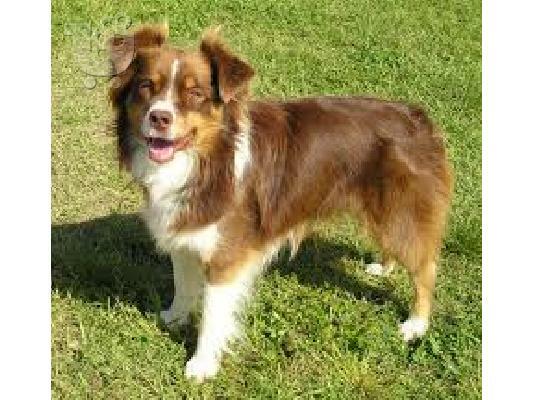 Αρχική > Σκυλιά > Buy your Australian Shepered here both male and female for 3 months to 5 years. Buy your Australian Shepered here both male and female for 3 months to 5 years. We ship this puppies world wide and the puppies come with all their documents,vaccins,clothing and blanket.We equally visit the puppies anually to ensure their well being.If you are interested in any of our puppies , do not hesitate to send us a mail to the email address below. Emial: ferdrickpetscentre@gmail.com Thanks.